From joining the graduate scheme, do you feel that you were able to make an impact with your work? What should I expect during an interview since my last one was 22 years ago? I want to apply for the Graduate Scheme this year, what is important in the CV of a freshly graduated student? Had an interview about 2 weeks ago and haven't heard anything not even a call, what has happened? What can I expect during my role play interview? I'm trying to search for jobs on the Isle of Man but cannot find how to complete online, can you help? What's it like being a manager at M&S and is it challenging? At what point in the recruitment process is it best to declare a disability? How old do I have to be to work in M&S? I am contacting you to enquire if you have any vacancies , volunteer or internship roles in your HR department. How long does it take for an application to process after I applied (for a sales assistant role)? I have completed your online questionnaire a few times but I never seem to hear back, can you tell me how I have done? 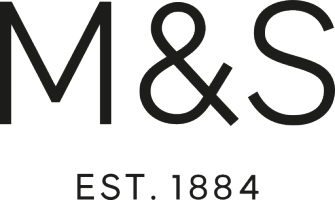 I would love to work at my local M&S at Hempstead Valley Gillingham in Kent. I can't find the latest info, can you help? Do you have telephone number to call for feedback as I am baffled by my failure to get an interview?